Portable chillers use mechanical refrigeration to cool recirculated fluids that support industrial process cooling applications. 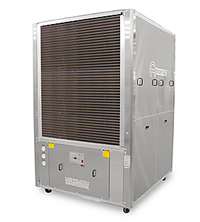 Portable chillers include an internal pumping system and reservoir system. 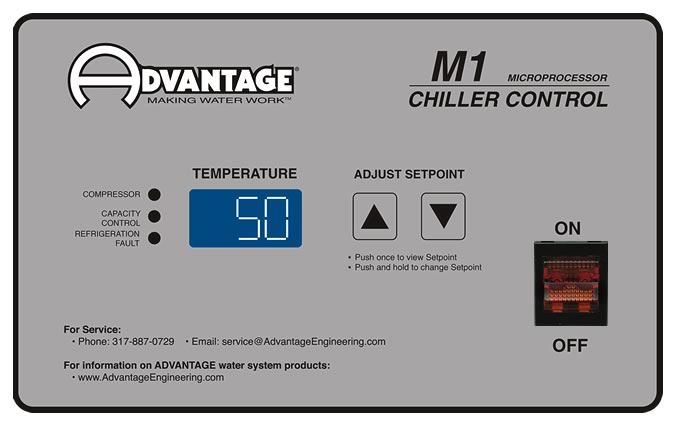 Air-Cooled chillers use indoor ambient air to dissipate the heat from the refrigeration system. 2. Tons capacity at 12,000 BTU/ton per hour @ 50°F LWT @ " 115°F condensing temperature. Capacities may be +/- 5% as reserved by the compressor manufacturer. Operating at temperatures below 50° will reduce chiller capacity. The minimum recommended operating temperature when no glycol is used is 48°F. 3. Design ambient conditions. Loss of capacity and/or difficulty operating will occur at higher ambients. Minimum recommended ambient is 60°F. 4. Full load amps are higher than run load amps and must be used for sizing disconnects and supply wiring. 5. Approximate unit weight crated for shipment. 6. Static pressure in inches of water.